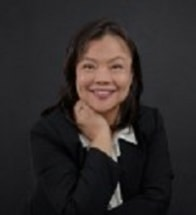 Alison Yew has been a licensed attorney for 20 years. Prior to starting her own practice, Alison was a civil litigation partner with one of the top-100 law firms ranked by Am Law. During this time, Alison saw a need to help the firm's corporate clients (which spanned across the United States) with immigration-related hiring/employment issues, so she developed the firm's immigration practice group. Alison has helped companies hire foreign workers with excellent credentials, through business and employment-based petitions for permanent and temporary work visas, including PERM processing, I-140 petitions under EB-1, EB-2, I-129 petitions for H-1B, L-1, Extraordinary Ability (O-1) visas, and treaty visas such as TN visas. Alison has also counseled many potential foreign investors on how to obtain a green card through the EB-5 investor visa program. Even though the H-1B visa petitions had an extremely short petition acceptance window in the last several years, with Alison's diligence and expertise, her business clients across the United States were able to obtain this visa and hire highly qualified employees. Through the referral of many satisfied clients, Alison successfully joined families together through family-based petitions for green cards. Alison brings a personal understanding of the immigration experience to her work. Born in Hong Kong, Alison and her family immigrated to the United States when Alison was a child. Her husband is a naturalized American citizen who came from Egypt. Alison has always enjoyed the one-on-one counseling of potential immigrants and the personal aspect of this practice; as a sole practitioner, Alison will continue to give her clients the same high quality of work and attention.